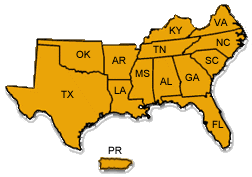 The Southern Dropout Prevention Alliance provides educational support in 13 southern states. We are nationally recognized and listed as a model program by the national Dropout Prevention Network at Clemson. We partner and collaborate with schools, school districts, colleges, universities, business, and industry. Our focus is centered on student achievement, through providing educators with quality online professional learning, preparing students to be college and career ready via career academies and instructional practices, and dropout prevention strategies. Proud partner with the National Dropout Prevention Network. Recognized with the Highest Rating and as a National Model Program. The Center for Early Interventions partners with the SDPA to provide early intervention support so that children can reach their full cognitive, social, physical, adaptive and communicative potential. This improves the outcomes for children, families, and communities. Therefore, to become a successful learner childeren must be exposed to academics and have academic readiness during this critical stage in their lives. 1. The best start in life: the science of early brain development, established over decades of neuroscience and behavioural research, helps illustrate why child development – particularly from birth to five years – is a foundation for a prosperous and sustainable society. Later interventions, although important, are considerably less effective where good early foundations are lacking. 2. Language for life: research shows that up to 10% of children have a long-term, persistent communication disability, and approximately 50% in socially disadvantaged areas have significant language delay on entry to school. There is a strong correlation between communication difficulties and low attainment, mental health issues, poor employment or training prospects and youth crime. With the right support, however, many children with language delay go on to catch up with their peers, and those with a pre-school history of persistent disorders that can be resolved by the age of 5½, go on to perform within normal limits. 3. Engaging parents: parents are the most significant influence on children, and parenting has profound consequences for their future lives, so it is important to persuade parents that engaging in their child’s development can make a difference, and to build positively on their existing strengths and actively involve them in decisions. Disadvantage is not a block to good parenting but low levels of literacy and numeracy and confidence are obstacles, and self-perception contributes to parents’ motivation to change – so it is important to persuade such parents to engage with support services by convincing them that they can bring real and lasting benefits to their children. 4. Smarter working, better services: some children and families need ongoing support, while others may have their needs met sufficiently by an ‘earlier’ intervention to do not require later interventions. A continuum of services is needed to identify the most appropriate intervention to match specific needs at a particular point.12 Children’s centres in particular lie at the ‘hub’ of a continuum of support: often where emerging difficulties can be first spotted, or where children, young people and their families will themselves first ask for help, and often the most appropriate setting within which the extra help children need can be delivered. 5. Knowledge is power: evidence and data is used as an integral part of the intervention process and as an aid to innovation. There is clarity of purpose through clearly stated aims. Interventions are informed by a sound evidence base, from local, national and even international sources. There is a clear analysis of local needs, including feedback from children, families and practitioners. Critically, a baseline is established at the point at which the intervention is first implemented, enabling the intervention to be tracked at key stages, to measure the extent to which it is delivering its stated aims and making a significant impact on outcomes.